How a dealer thinks a car buyer chooses a dealership versus how the buyer actually chooses a dealership doesn’t always align. At the 2018 Western Canadian Dealer Summit, Google Think Auto showed us how dealer perceptions and buyer decision-drivers often differ. What influences a buyer’s decision the most? For buyers, price and availability are two of the most prominent factors during the decision-making process. 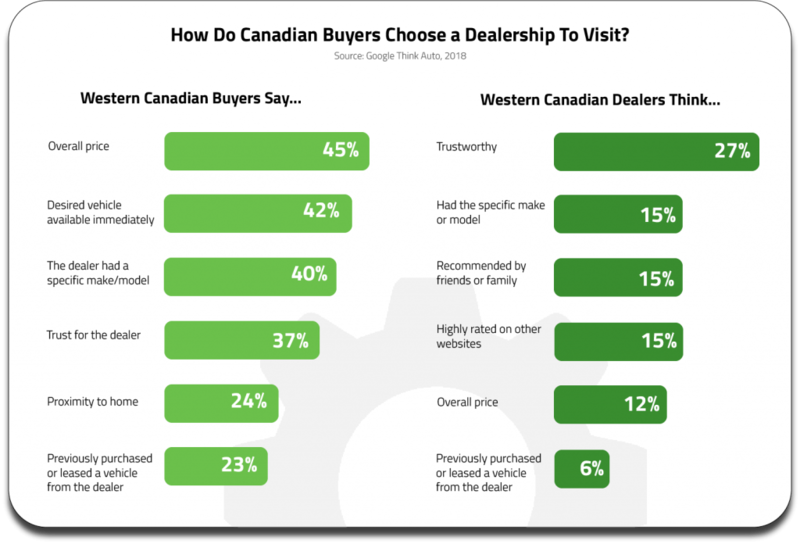 A buyer’s trust in a dealership is another important factor, although Canadian dealerships perceive this as being the most important. 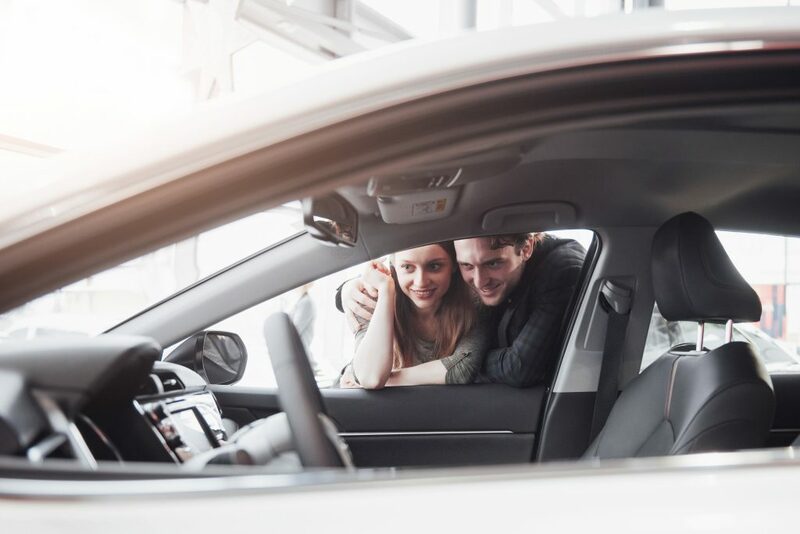 Further, 23% of Canadian car buyers say that they’ll return to a dealership for their next vehicle — a reminder to maintain existing relationships because customer retention contributes to higher vehicle sales! What does it all mean for your dealership? So, how can your dealership take Google Think Auto’s decision-making data from Canadian car buyers and improve its digital strategy? Well, if your dealership wishes to be the chosen one, make sure that you’re transparent with vehicle pricing online, and that inventory is regularly updated with easy-to-navigate inventory pages and VDPs. Try including prices and promotions in your paid ad campaigns, too. Statistically, ad copy that includes prices and other numbers receive a higher CTR and will likely help to build a buyer’s trust in your dealership. 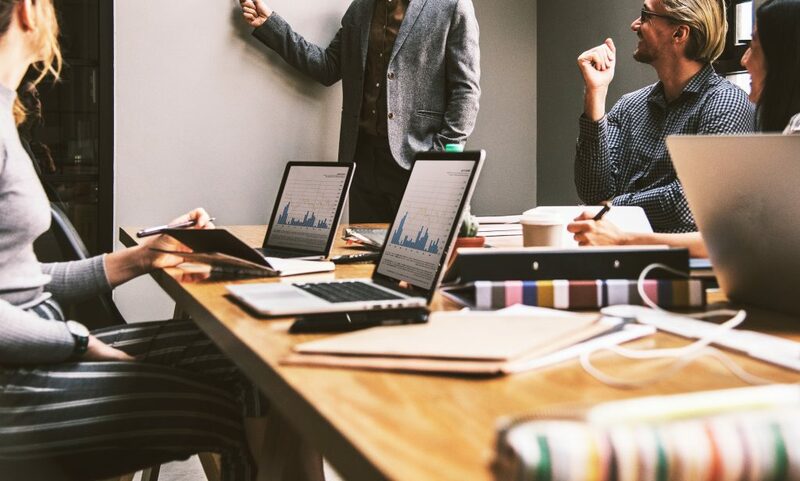 To gain buyer trust during their decision-making process, build a robust content marketing strategy for your dealership. Publishing regular blog content will help to improve trust in your dealership by demonstrating authority and expertise while providing useful information and answering the questions car buyers may have. Regularly posting also helps to improve your organic SEO by showing the search engine that your dealership’s content is highly relevant to specific search queries! It’s kind of a two-for-one deal. Online reviews are another powerful way to build buyer trust. Make sure that you’ve got a solid review generation strategy in place. Utilize various online review platforms (like Google, Facebook, Yelp, and so on) and actively respond to customer reviews, whether they’re negative or positive. Similar to regular content publishing, online reviews also help to improve your dealership’s organic SEO. You can’t go wrong! Reach out to our team of Customer Success superheroes to discover more ways in which your dealership can elevate its digital strategy!